When Elvis crooned "Bright light city . . . gonna set my soul on fire," he voiced and embraced the siren call of a glittering urban utopia that continues to mesmerize millions. Call it Sin City or Lost Wages, Las Vegas definitely deserves its rapturous "Viva!" 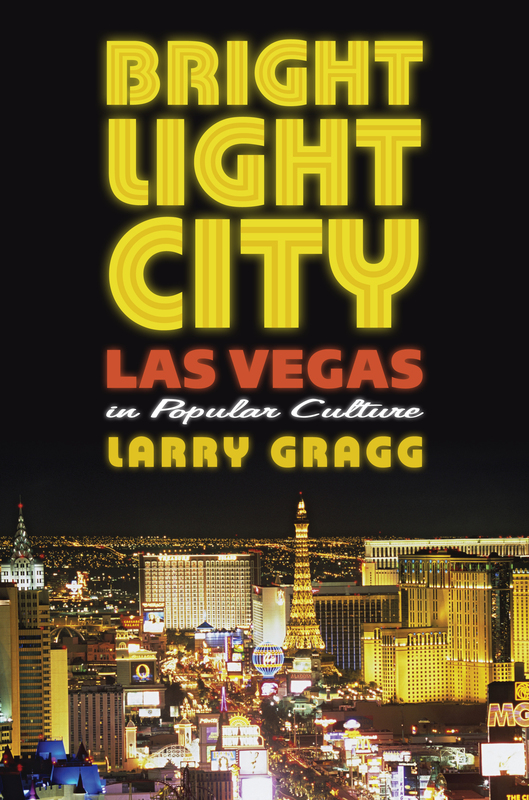 Larry Gragg, however, invites readers to view Las Vegas in an entirely new way. While countless other authors have focused on its history or gaming industry or entertainment ties, Gragg considers how popular culture has depicted the city and its powerful allure over its first century. Drawing on hundreds of films, television programs, novels, and articles, Gragg identifies changing trends in the city's portraits. Until the 1940s, boosters promoted it as the "last frontier town," a place where prospectors and cowboys enjoyed liquor, women, and wide-open gambling. Then in the early 1950s commentators increasingly characterized Las Vegas as a sophisticated resort city in the desert, and ever since then journalists, filmmakers, and novelists have depicted a city largely built by organized crime and featuring non-stop entertainment, gambling, luxury, and, of course, beautiful—and available—women. In Gragg's narrative, these images form a kaleidoscope of lights, sounds, characters, and ultimately amazement about this neon oasis. In these pages, readers will meet gangsters like Bugsy Siegel, Tony Spilotro, and Lefty Rosenthal, as well as Las Vegas's most popular entertainers: Elvis Presley, Sinatra's Rat Pack, Liberace, and Wayne Newton, not to mention the Folies Bergere showgirls. And Gragg's skillful interweaving of fictional and journalistic accounts of organized crime shows just how mutually reinforcing they have become over the years. Vegas will always make people's eyes light up as bright as the Strip, witness the new TV show Vegas or the recent film The Hangover. For everyone entranced by its glitter and glamour, Bright Light City is a must read boasting color photos and bursting with insider details: an eclectic blend of stories, people, sights, and sounds that together make up this desert city's extraordinary appeal. Larry Gragg is Curators' Teaching Professor of History and Chair of the Department of History and Political Science at Missouri University of Science and Technology in Rolla. For the past two decades he has made an annual pilgrimage to Las Vegas and wistfully echoes a familiar sentiment: "The reason I like Las Vegas is because it's almost all the things that I am not." He is the author of six other books, most recently John F. Kennedy: A Biography.